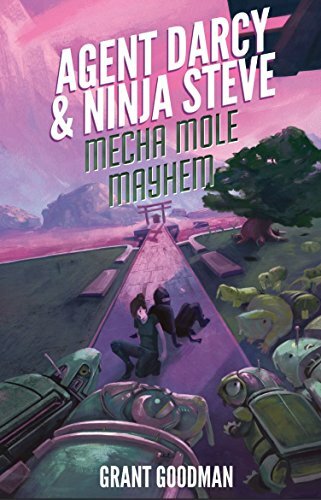 Book 3, Agent Darcy & Ninja Steve in...Mecha-Mole Mayhem is now available in PAPERBACK and on KINDLE. Fun fact: if you buy the paperback version, you can download the Kindle version for free. You don't even need a Kindle to access it: you can get the Kindle app for your phone or your home computer. I am absolutely in love with this cover AND with the story. I am so very proud of the words that I've put together with the help of my beta readers and my editor, Shannon A Thompson. Agent Darcy and Ninja Steve in...Mecha-Mole Mayhem!